Septic system is your own sewage treatment facility which is normally installed where there is no access to a main sewer system. Usually it is an economical and practical way to store your waste water. To have it clean and odorless you need to have it maintained properly and there is where we come in. In MegaSeptic we are a team of well experienced professionals who offer our services to you. We want to be honest with you and advise you not to spend your money on septic tank additives, because it doesn´t clean your septic tank as a good old pumping. In your septic tank there is bacteria which is very much needed to treat all the waste in your septic tank and by adding those additives, the whole purpose of the bacteria comes to its very end. It might sound cheaper to use the additives but we want to remind you that failing of your septic system is expensive and it costs a lot of money to repair or replace it. Also, very important to mention, our MegaSeptic safe and professional treatment of your septic system prevents the spread of potential infection and disease, including the protection of water resources. To help yourself and us, we would like to counsel you to flush responsibly. If you could avoid flushing every day products like diapers, feminine hygiene products, cigarette butts, coffee grounds, cat litter, paper towels, condoms, dental floss, cotton swabs and other bathroom and kitchen items, it would greatly save your septic system from potential clog and damage. Some of the chemicals like pesticide, household chemicals, gasoline, antifreeze, oil or paint can destroy the biological treatment in your septic system, same like the additives mentioned above. 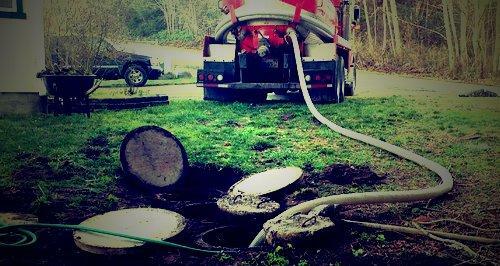 Don´t you feel reluctant if you find yourself in a difficult situation regarding your septic system. If you have your septic system clogged or damaged, we, at MegaSeptic, we will provide you our service which is a guarantee for you to have well maintained and supervised septic system.